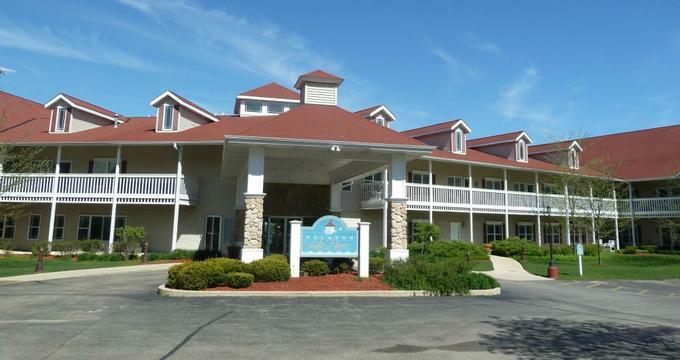 Located in the spectacular Lake Geneva area, Delavan Lake Resort is a family-friendly resort that offers a relaxing and laid-back place to unwind and enjoy a variety of activities. The resort features comfortable accommodations in a variety of layouts and sizes, first-class amenities such as indoor and outdoor swimming pools, sun decks and a beautiful sandy beach, and a fully equipped fitness center and spa. The resort also features modern meeting facilities and spacious banquet rooms for corporate and social gatherings for groups of up to 50 guests, and there is free wireless Internet throughout the property. Delavan Lake Resort is set within the Geneva Lakes area, which offers a variety of things to see and do, ranging from hiking and walking around the lake, world-class golf, horseback riding and zip line adventures to specialty shopping, award-winning dining, luxury spas, and seasonal festivals. Delavan Lake Resort features well-appointed and comfortably decorated guest rooms with contemporary décor and modern furnishings, en-suite bathrooms, and upscale amenities. All guest rooms are spacious and bright with king or queen-size pillowtop beds dressed in deluxe linens and soft pillows, and en-suite bathrooms with bath and shower combinations, thick towels and bathrobes, and branded bath products. Living rooms have comfy seating, dining table and chairs, gas fireplaces, and queen-size sleeper sofas for additional guests. Modern amenities include flat-screen televisions with cable channels, DVD/VCR players, fridges, convection microwaves, coffee makers, dishwashers, toasters, silverware and China for dining, irons and ironing boards, telephones, hairdryers, and complimentary wireless Internet. Rooms are available in One Bedroom Standard Rooms, One Bedroom Lakefront Rooms, Two Bedroom Lakefront Rooms, and Two Bedroom Premium Lakefront Rooms. One Bedroom Standard and One Bedroom Lakefront Rooms have king-size pillow-top beds dressed in deluxe linens and soft pillows, and en-suite bathrooms with bath and shower combinations, thick towels and bathrobes, and branded bath products, while all the other room types have two king-size beds. A complimentary breakfast is served every morning and includes coffee, tea and hot beverages, fresh fruit and juices, cereals, granolas and yogurts, egg dishes, and freshly baked pastries, and bread. Amenities and guest services at the Delavan Lake Resort include indoor and outdoor swimming pools, lakeside sun decks, a communal whirlpool, a sandy beach area which is ideal for swimming and sun-bathing, and an elegant lobby with a grand fireplace and large flat-screen television. Private patios and balconies boast beautiful views, and gourmet coffee is available to guests throughout the day, and there is a guest laundry with washing machines and tumble dryers for guest use. There is an exclusive spa, fully equipped fitness center and games room with a variety of board games and other entertainment. Delavan Lake Resort offers modern spaces for business functions, meetings, workshops, and team-building activities for groups of up to 50 people. The resort features three spacious meeting/banquet rooms located on the main and pool floors of the hotel with ample seating and state-of-the-art audiovisual equipment, including high-speed wireless Internet. Guests can enjoy the resort’s deluxe accommodations, upscale amenities and facilities and beautiful lakeside views. Delavan Lake Resort is set within the Geneva Lakes area, which offers a variety of things to see and do, ranging from hiking and walking around the lake, world-class golf, horseback riding and zip line adventures to specialty shopping, award-winning dining, luxury spas, and seasonal festivals. Other attractions and activities include downhill and cross-country skiing, miniature golf, boating and cruises on the lake, guided fishing charters, water sports and water-based activities, snowmobiling, museums, art galleries and antique shopping.